The beginning of 2019 brought forth the new adidas Ultra Boost silhouette, the adidas Ultra Boost 19. For spring, the brand with the three stripes looks to splash the new model with a light grey and a seasonal orange. Starting in 2014, the adidas Ultra Boost took the sneaker world by storm. Athletic wise, the sneaker is one of the most comfortable shoes and many athletes acknowledge it as the best. On top of that, adidas combined the athletic ability with a lifestyle look that could be worn all the time. Through many different models, we have seen the upper of the shoe get renovated as adidas looks to switch things up. 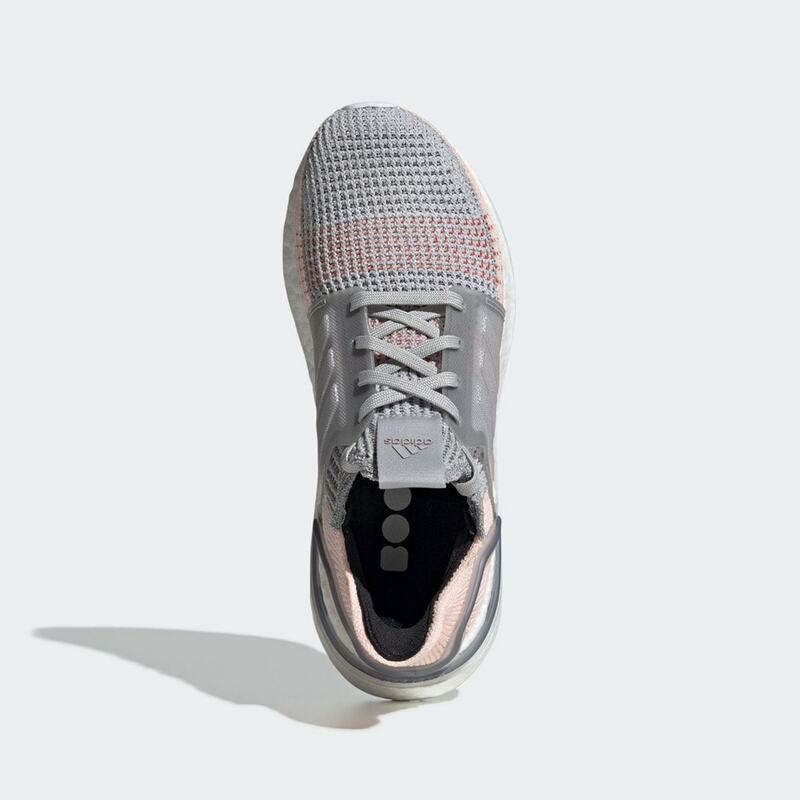 Furthermore, for the new Ultra Boost 19, the Boost technology gets upgraded with 20% more boost to feel even better on foot as well. 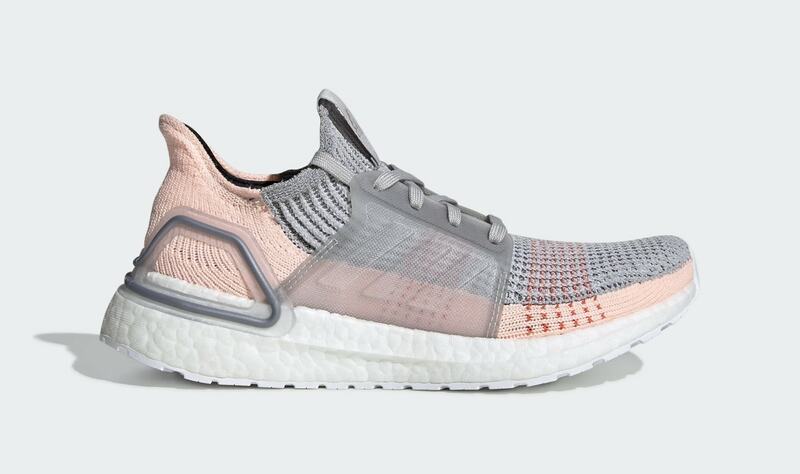 adidas looks to add the new technology with seasonal vibes as the Ultra Boost 19 gets ready for this years spring season. 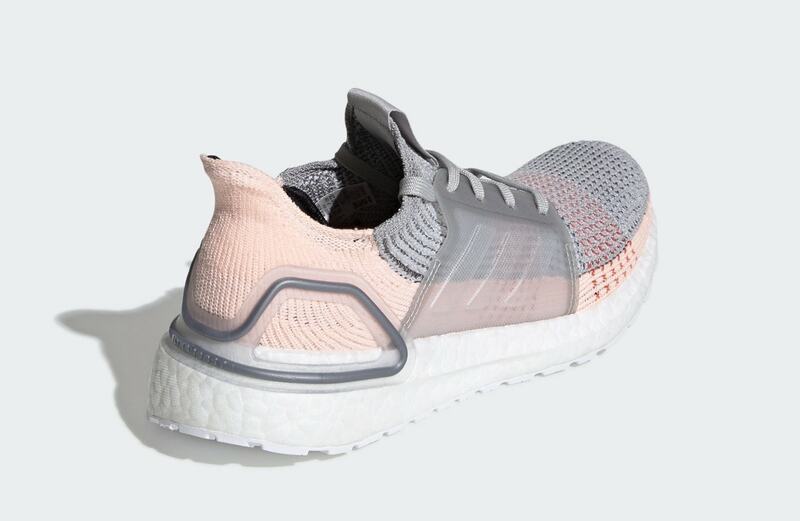 To begin, the Ultra Boost 19 “Clear Orange” shares two main colors, a soft grey that is used on the upper, cage, and shoe laces as well as a light peachy orange color blocking that can be found on the lower portion of the sneaker. 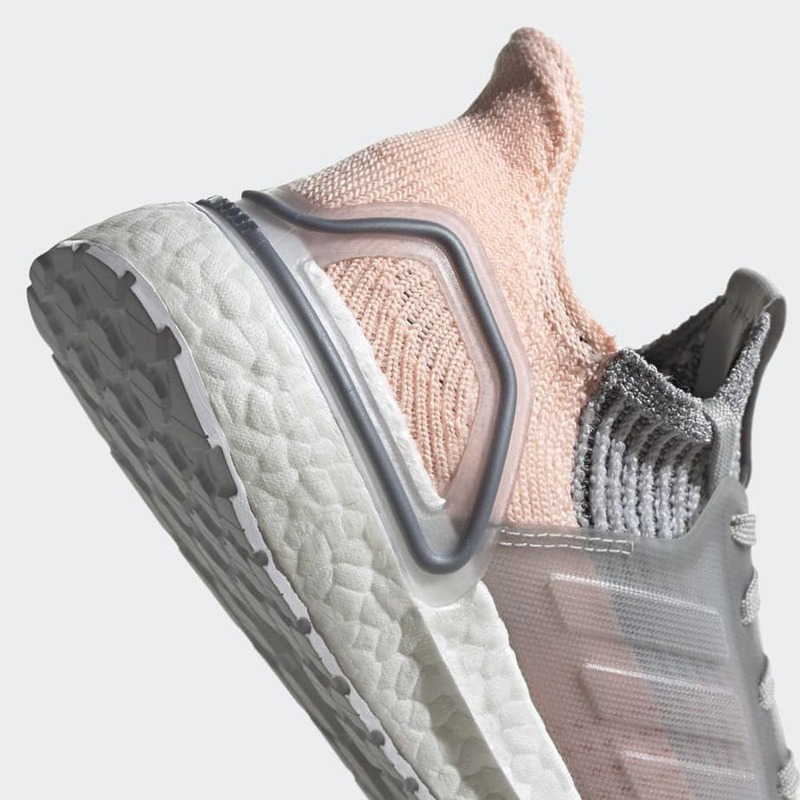 Darker orange thread makes up the rectangular bar across the toe that has been a staple for the Ultra Boost 19. 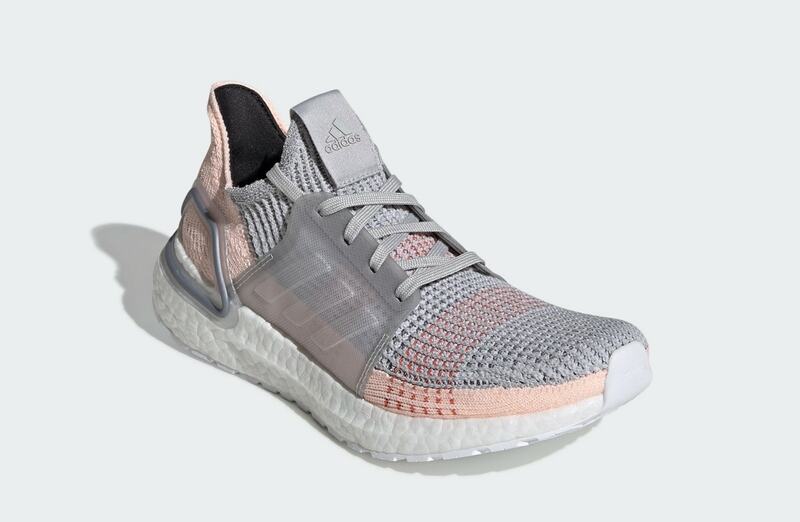 Lastly, the white Boost ties in the soft colors all together and allows the grey as well as the orange to simultaneously pop. There is no official release information as of yet but expect the shoe to release sometime soon for a retail price of $180. 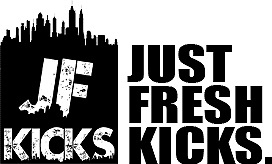 Furthermore, check out more detailed pictures below and be sure to stay tuned to JustFreshKicks for updates as well as more Ultra Boost news.